Despite the age-old saying that you can’t judge a book by its cover, I admit that I do, particularly when it comes to children’s books. If the illustrations don’t have instant appeal, I’m not inclined to read the story and I think the same goes for children. The extraordinary Look! 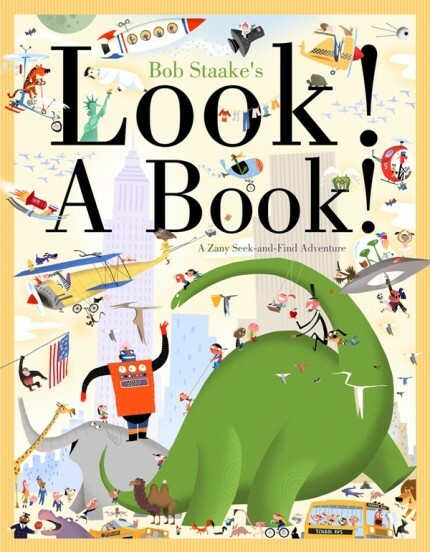 A Book!, the latest from award-winning illustrator Bob Staake, was a instant attention-grabber for both me and my kids (all four of them, which speaks volumes about Staake’s broad appeal). 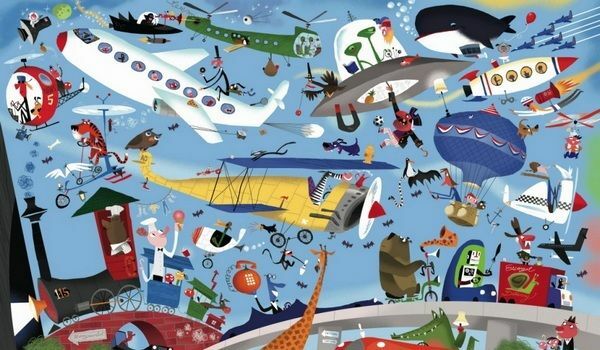 The text is good fun but it is Staake’s fanciful illustrations that steal the show. 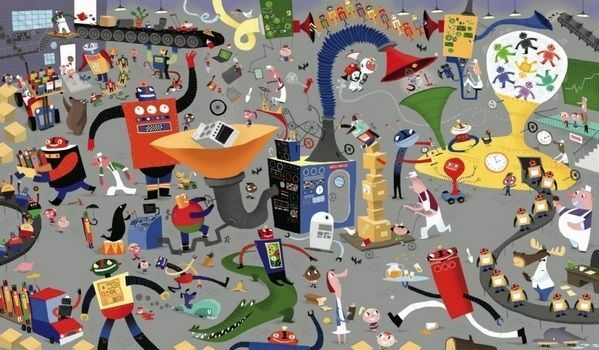 Each page bursts with colour, zany characters and kooky things – a lobster walking the streets of New York picking its way through discarded baseballs and slices of pizza or an elephant stuck in a tree house with a tuxedo-clad pelican watching on. The book ends with a rhyme and a foldout page that asks readers to start searching all over again, this time for one cow, two bicycles, three pigs and so on until they find twelve red books. 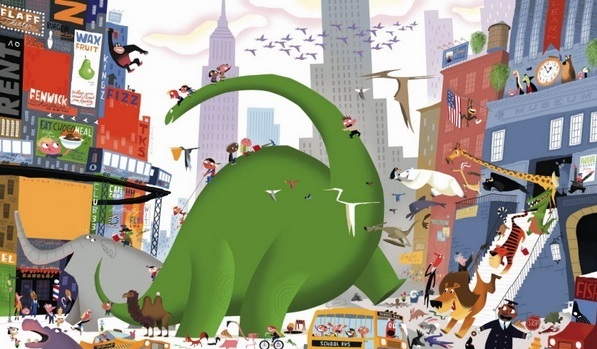 I’m no artist and I’m no computer whiz but I’m fairly certain that the fact that Staake does all his illustrations using his mouse (no stylus) and Adobe Photoshop 3 is incredible. To see what I mean, watch the clip of Staake at work below. Look! A Book! is available at Fishpond for $18.47. Check here for our past review of other search-inside type books.